Home Procurement News How can you improve your shipping methods? Production is going great. The materials arrived on time and in pristine condition, the assembly line is ahead of schedule and the quality is looking perfect. You've managed to avoid any issues that may come with creating a product. However, what happens when it's out of your hands and the items are in transport to distribution centers? Commute times are at record highs and are only continuing to lengthen, according to Harvard Business Review. That's not even just on the roads. Trains and waterways are just as busy, and air transport is nowhere near adequate. With your business depending on reliable transportation at either end of the supply chain, you'll need to determine which system is right for your company. According to the Boston Consulting Group's 2015 Supply Chain Benchmarking Study, more than 80 percent of business leaders worry about the transportation of their goods. The industry pays approximately $15.5 billion annually for the distribution of their items. Yet, that system is still unreliable. 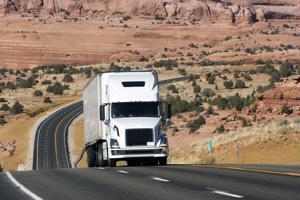 There are truck driver shortages and high turnover rates. Gas prices are in a constant state of fluctuation and road congestion is always an issue. Unfortunately, these setbacks in shipping also mean delays delivering to customers. With fewer trucks spending more time in stop-and-go traffic, the travel time from factories to distribution centers and then to stores or consumers will take much longer, the source explained. The cost of shipping increased by 14 percent since 2012, which means companies may have to slow production to cover those extra expenses. Retailers cannot expect these problems to go away. As both the global population and consumer demands increase, efficient transportation is a priority. Businesses must work to improve their supply chains and create a more reliable shipping system. Streamline workflows - There are various departments and sections involved in the production of merchandise. However, if there are redundancies or if all areas don't work together, your supply chain is going to be a mess. By simplifying your workflow, you'll be able to more quickly get the product to where it needs to be, Harvard Business Review explained. You should solve any bottlenecks holding up production and eliminate any repetitiveness throughout the process. Partner up - Managing a business on your own can be pricey and time consuming. However, by working with other suppliers, consumers and retailers, you'll be able to reduce both of those problems, Boston Consulting Group claimed. Customers can pick up their products at stores instead of having them shipped to their houses. You can share truck or warehouse space with other businesses so that you also split delivery expenses. Retailers may be able to help predict product demand and you can ensure you have enough on hand. Switch it up - Roads can get overwhelmingly packed. Shippers don't have a monopoly over the roadways, meaning they'll have to share the highways with consumers. There are plenty of other options you can use to deliver your items to distribution centers and customers. The waterways, railroads and air freights all offer reasonable alternatives. Those also have traffic, but if you do your research, you'll be able to find the best modes of transportation to use. However, according to Boston Consulting Group, 63 percent of companies expect to use intermodal systems, which means even those options can get crowded. While parts of the supply chain may have their problems, they can be managed with the right measures. By planning ahead and using alternative shipping methods, companies may be able to reduce their costs in this increasingly expensive world.